You've heard of amazing deals, online discounts, outlet shopping-but has anyone showed you how to shop for free? Meet Kathy Spencer-hot, hip mom of four who can whittle a $267.22 grocery bill down to one penny. One penny. 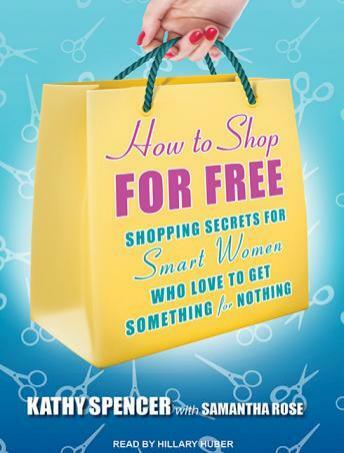 Now, this smart, sassy, step-by-step savings guide teaches you how to do just that by revealing:Kathy's killer two-for-one shopping strategyWhich stores have the best savings-and how to cash inMonth-by-month steals and off-season shopping secretsHow to amass so much free stuff that you'll have to give it away!You'll learn how to find the best savings and combine them with store promotions, coupons, rewards programs, and store credit to get almost anything for free-from organic produce to makeup, baby formula to brand-name clothing. With an eye toward cutting your monthly spending on the basics, Spencer guides you through many popular stores-including CVS, Kohl's, Office Max, PetSmart, Target, and Home Depot-and explains how to maximize your savings. Follow Spencer's plan, and before you know it, you'll be shopping for free.